Do you also want an answer to the question as to, are unicorns real or not? Just tag along so that we can lay down some views. There are a lot of misconceptions which prevail in modern society, let’s touch some of them. You must be aware of the fact that people have had a unique fascination with the existence of various mythological creatures, be it mermaids or unicorns, in our case today. The love for unicorns has always been there, the major reason for this is that unicorns have always been shown under a positive light. It has been regarded as a symbol of peace, grace, purity, and beauty etc. While on the other hand, we have the beastly ones like dragons and hellhounds. Do you ever wonder how these myths started and whether or not there is any reality in them? Is it more than just a myth? Well! In the year 2016, there was a discovery made on the part of scientists, in which they found the bones of a historic one-horned creature, this led to a major controversy. Scary isn’t it? So this discovery was made in the Kazakhstan region. Later, it was given the name of a Siberian unicorn. Although the single horn was there, it did not look anything like the majestic depiction of a white horse with a horn. It was more like a rhinoceros. It is true that sometimes genetics find it funny to have a little fun with us all. One story related to this could be the birth of the so-called Prato unicorn. 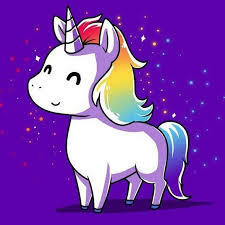 So, what happened was that in the year 2008, a Prato unicorn was said to have born in the region of Italy. The funny thing is that it was just a small deer which had one horn on its forehead. The fact important here is that cattle breeders often play with the horns of these poor creatures, twisting and turning them around, however they feel like.